Free Burgers and ice cream…watch this! Church members need to know how to walk with God and to know how to hear Him speaking. They need to be able to identify things only God can do. Perhaps one of the greatest challenges for Christianity in our day is for churchesto walk with God so closely that the world comes to know Him through their witness.When a church allows God’s presence and activity to be expressed, a watching world will be drawn to Him. How can your church be that kind of congregation? A church is a creation of Christ. He builds his church. He uses spirit directed pastors and leaders. He arranges the members of his church according to His will. Every member has been placed in the church according to God’splan to accomplish His purpose for that place and time. A church is a living body of Christ with many members. The church is not a building or an organization. It is a group of people built into a living body. 27Now you are the body of Christ, and each one of you is a part of it. A church is uniquely relaed to Christ as Head of the body. All mattersin a churchare to come under His lordship. Members of a church are uniquely related to every other member of the church. 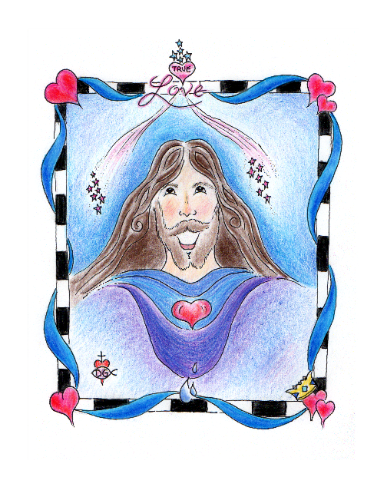 15Instead, speaking the truth in love, we will in all things grow up into him who is the Head, that is, Christ. 16From him the whole body, joined and held together by every supporting ligament, grows and builds itself up in love, as each part does its work. All members are interdependent and need one another. A church is on a mission with Christ in our world to carry out the Father’s redemptive purposes. We are God’s fellow workers. As you watch this video and listen to the words please think about how and where God has placed all of these people in His word and in His time. Where is He placing you? Where is He placing your church? Everyone before us has been on a mission with God…will we follow? 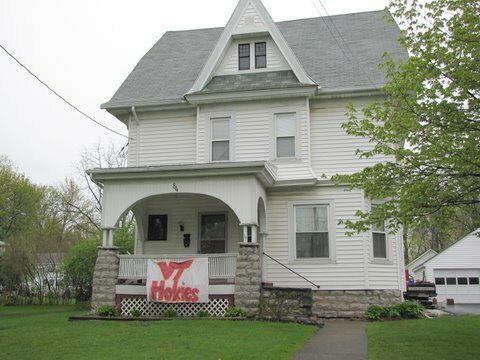 My Mom sent me these great photos of a house in my hometown of Waterloo, NY flying VT colors yesterday. 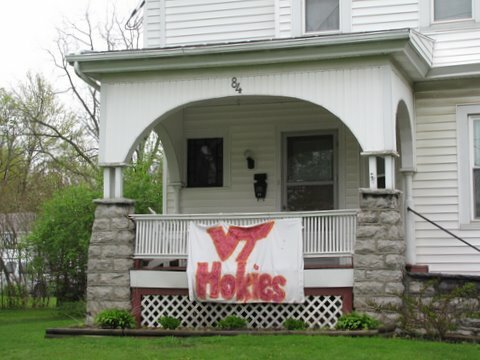 The Hokie Nation is expansive and for this to be flying in SU territory says it all! Good morning! Last night my family was going in many different directions. Corynn went to the Youth Rally in Pulaski, Cort went to Independence to teach his FPU class, and Emily and I went to SNL to hear Oliver’s presentation on the proposal from the Holston Conference-that we become a “Multi Site” church.” What does this mean? One church in two locations ( or more). In my mind we are currently a multi site church with our youth center located downtown. The proposal is that we open another site downtown to reach those folks who won’t come through the doors of the traditional church, but WOULD come through the doors of a storefront located downtown. I think the most amazing is that our church has continued to grow, even in these tough economic times, and the conference has noted that. To me that says that people are hungry for God and when people are hungry, what do we do? We feed them! Let’s take a minute and look at the success of McDonald’s…. It opened in 1940 as a carhop. Ray Kroc entered as a salesman some years later and had an epiphany. He bought McDonald’s in 1954. By 1958 he had sold 100million burgers! By 1965 he had opened 700 new sites to sell burgers and fries! He is quoted as saying: ” We provide food that people love-day after day. People just want more of it.” This reminds me of a question that the conference asked of our Pastors….” How is your church continuing to grow in such tough economic times?” The answer was , ” People want Jesus and we give them Jesus!” So, by feeding people “soul food” they keep coming back for more. Ray Kroc also said , ” We take the hamburger business more seriously than anyone else.” It is my humble opinion that our church leaders take Jesus more seriously than anything else and this is why we are having such great growth in our congregation. McDonald’s has changed with the times over the years. They introduced the snack wrap in the late 90’s and today they offer free WIFI in many locations. So today we can enter McDonald’s with our laptops, our Twitter, our Blackberry’s and our families and enjoy free WIFI with a good meal as well as a great cup of coffee. McDonald’s success has come about by change. There’s an old saying, ” if you keep doing what you are doing, you will keep getting what you are getting.” So if you don’t like the results, then maybe it’s time to change! So,what am I getting at here? Many of you may know this, but for those who don’t- awhile back God was working through a hamburger to reach a young man who has since proclaimed Jesus as His Lord and Savior. One of our youth- offered to buy this young man a burger and then proceeded to invite him to church- which was our downtown site- the youth center. Today both of these young men are very, very active within our church. The burger buyer joined our church a few months ago and the burger consumer has since dedicated his life to Christ and plans to be baptized on Pentecost. Both of these young men have become leaders among the youth of our church. So, a life was eternally changed by a hamburger. It didn’t happen in the conventional way that we would think-rather it happened in the way that Godwould have it happen. Outside of our church doors, downtown Hillsville. I know there are many stories like this, but I tell you this one because it is close to my heart. God has used these two young men to compel me to be more involved with our youth and to think outside of the box. In my becoming more involved with the youth- Cort has felt led to be there also. I have watched God working not only the lives of the youth-but in the lives of my family. It is a wonderful thing when your teenage daughter is comfortable sharing her friends and life with you. A gift from God! Today McD’s has over 32,000 restaraunts,60 million customers and they are in 117 countries! Why I even enjoyed McD’s when I was in Slovakia last fall! Can you imagine the Methodist Church sharing this concept with all of thier conferences? Methodist Church Store front churches in every small town across America? WoW! Ideas like this don’t come to pass without a sincere and passionate devotion to Christ, a lot of hard work and commitment to the task at hand. Today, as we discuss this proposal, I am reminded of the question Oliver posed to us: ” What kind of presence does First United Methodist Church Hillsville INTEND to have in Carroll County?” I go back to Ray Kroc’s quote…” We take the hamburger business more seriously than anyone else.”Our challenge today is to take the “Jesus” business more seriously than anyone else. . .
To “Offer them Christ” through a storefront…. So, as my family and I gathered back at home after 9 pm last night- my heart was convicted over how God had used each of us in different directions during the course of the day. Cort was 40 miles to the west, Corynn was 20 to the North and I was right here at home with Emily. That’s a huge area for a family of 4 to cover. Jesus’ last words were to “go and make disciples of all nations…” and when we go out like this-that is what we are doing! Even though my family was apart- we are united in Christ-just like our multisite opportunity will be. We are all ONE in Christ. I think that maybe it is time to have some fun with them! Are we willing to accept this DIVINE opportunity? The next informational meeting will be Wednesday, May 5th at 6:45 pm at the church. Any and all questions are encouraged! Let’s turn Carroll County upside down for Jesus! Today is the Lord’s Day…well, everyday is really His day, but today is the day that we gather together in corporate worship, communing with God in His house. It doesn’t matter what the building is or where it isl…what is important is that we gather together in HIS Name and spend time together as the Body of Christ learning, praising and worshipping God the Father, Creator of Heaven and Earth. If you don’t have a church home, we welcome you with open arms to First United Methodist Church Hillsville. We are on the hill behind the firehouse in Hillsville. Our services are at 8:30 am, Sunday School at 10am and an 11 am service. Tonight we will have our Sunday Night Live Service at Out of the Box-which is on Main Street in Hillsville, at 6:30 pm. Come on out and join us, we would love to get to know you! Blessings on this beautiful Sabbath! Let’s carry the cross of Christ high together! ” How great is the love the Father has lavished on us, that we should be called children of God! For me it is falling in love with our Creator and having a desire in my heart to do whatever HE is asking of me. I have fallen in love and I am going to do whatever I can to please the Lord. If that means running circles around my kitchen juggling oranges and apples-then by golly I’m gonna do it! That sounds crazy-doesn’t it? Well, when we are in love we do crazy things to please the One we love. In my case, the One I love IS the ONE- Lord of all the earth, Creator, Father, God. I know I am HIS- a child of God! So are you! In this drawing, Jesus is looking up. What is he looking at? His Father in Heaven! Jesus is the Son of God and He was obedient because he truly loved His Father. The Father is the Son’s TRUE LOVE-just as Jesus is to be our TRUE LOVE, our FIRST LOVE, our ONLY LOVE. In the picture you see that Jesus is being showered with stars-they represent God’s love and light and we are being showered with that same love and light everyday. Just look around! God’s love is infinite, pure and bright! It doesn’t matter what your past looks like, what is important is your future. When you have received Christ as the LORD of your life-how you live DOES matter!! Christ WILL put His finger of love on your heart and life and you will be compelled to change, to walk toward the light and away from the darkness of the world. Change is never easy and it happens over time-we are all at different levels in our walk with Christ. The best thing we can do is to have accountability partners in our lives. These are godly people who live and love and spend thier lives for Christ. They want what God wants for us-to come to Him, for us to live in willingness, to embrace, to listen, to hear and act in obedience. To fall madly in love with the One who created us! Sometimes the things these people tell us are hard to swallow and take time, however it is in that time that God is growing us-stretching us, pruning us and drawing us near to Him. It is true love. We are all children of God and the only thing we are required to do is BELIEVE and RECEIVE! Once we truly do this- then God does the rest through our obedience. One step at a time. No, it’s not easy and it doesn’t happen overnight- but it is the most important decision you will ever make! 16This is how we know what love is: Jesus Christ laid down his life for us. And we ought to lay down our lives for our brothers. 17If anyone has material possessions and sees his brother in need but has no pity on him, how can the love of God be in him? 18Dear children, let us not love with words or tongue but with actions and in truth. 19This then is how we know that we belong to the truth, and how we set our hearts at rest in his presence 20whenever our hearts condemn us. For God is greater than our hearts, and he knows everything. 21Dear friends, if our hearts do not condemn us, we have confidence before God 22and receive from him anything we ask, because we obey his commands and do what pleases him. 23And this is his command: to believe in the name of his Son, Jesus Christ, and to love one another as he commanded us. 24Those who obey his commands live in him, and he in them. And this is how we know that he lives in us: We know it by the Spirit he gave us. I would like to share a poem with you that Corynn wrote for a project at school. It is thought provoking and Grandma, Grandpa, Uncle Ralph, Auntie Linda and Great Granny Marie will/ would love it! I know I do! I am a carpenter, a mason. between me and my friends. and doubt, for people like me. I realized I’d only climbed over them. Bridges to connect the lost to life, to bring food to the hungry, to lead people to Christ? Shelters where God lives? Shelters that house the homeless and give them hope? or walls that need to come tumbling down? Our church is proposing to do a “new thing,” and that is to reach people that will not come through the doors of our current building, by opening a second church “campus” downtown on Main Street, a few doors dwon from our youth center. We have an amazing opportunity to grow the Kingdom of God by being obedient to what God is asking us to do. We are being asked to step out of our comfort zone, out of our current condition, to reach people who are in need of hope. Many of those people may never enter a church because they think they need to wear certain clothing, or carry a bible, or even look a certain way. Many people live in an uncertain economy everyday of thier lives. Many people cannot even afford to pay an electric bill, let alone go out and buy a suit or dress to attend church. There are no prerequisites to attending church. Just enter in as you are. God doesn’t care about our clothes- He cares about our souls and if we can’t get people to come to us, then we MUST go to them. Jesus Christ is about people, not what they look like, or where they come from or what they wear. Jesus hung out with the last, the least and the lost. God is asking us to show people who He is and what He can do when we embrace HIS PLAN for HIS PEOPLE. This body of believers has locked arms and has committed to carrying the cross of Christ out into a world that is full of hopelessness, broken bridges and walls. When I first heard about this proposal my heart was full and dancing in joy at what God is doing in our midst. When Oliver McBride went over the information last week, I was convicted to tears, in my pew, that this is what God wants. Tears of joy. Why? Because God is providing a future home for His children, for my children and for your children! We are ALL His children. God is calling all of us to be faithful, true, trusting and bold. Noah built an ark…people jeered and poked fun at him…he did it anyway…his obedience opened up the floodgates of heaven and God renewed the earth and His people through Noah. We are going to do the same! We will build an ark in downtown Hillsville so that God can pour out his blessings upon all the people who enter in…we will be obedient and ignore the jeers and jests of the world just as Noah did. We will allow God to open the floodgates and renew His people! Jesus is no longer on the cross and he is NOT in the tomb…Jesus has been RESURRECTED and is preparing a place for all of US. 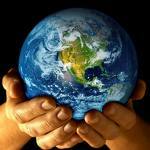 He has commanded us to GO and MAKE DISCIPLES of ALL NATIONS. This means going TO the last, the least and the lost in every town across the world. We have the opportunity to do it right here in Carroll County. Let’s grab God’s hand and cross that bridge together! All things are possible with God…just look at Noah! So let’s tear those worldly walls down and build a house of HOPE together!